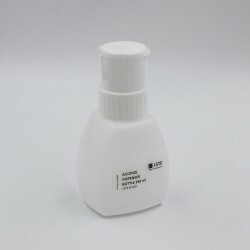 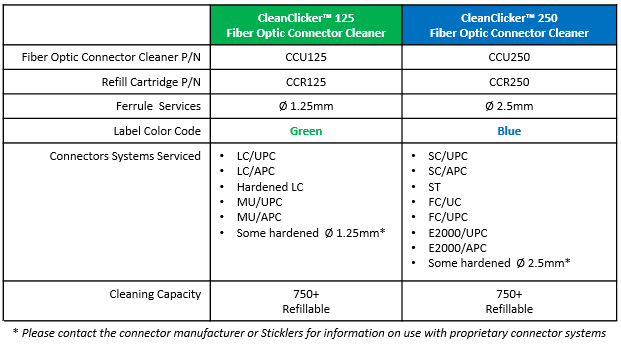 The Sticklers CleanClicker 1.25mm fiber optic connector cleaning tool is a rugged, precision tool for cleaning LC and MU ports and jumpers, with either UPC or APC polishes. 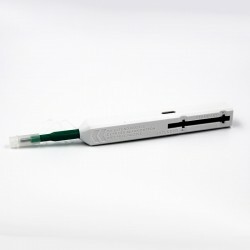 The tool uses a super-smooth activation with light tip forces to deliver great cleaning with little risk of end-face damage. 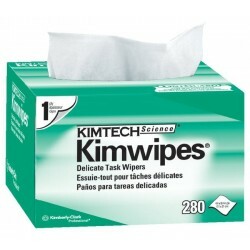 Each tool has over 750 cleans and is refillable. 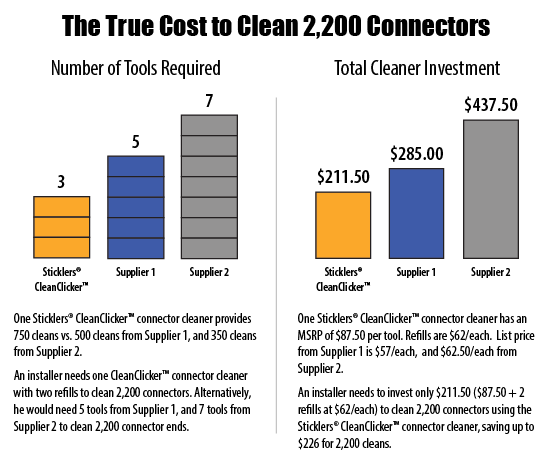 This tool is perfect for cleaning any size network, any installation; from single to thousands of connectors. 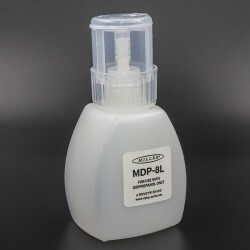 Refill cartridges (see photo) also perform 750+ cleanings, with a 30% savings over the cost of a new cleaner.